Aston Martin has unveiled its first all-electric car, the Rapide E, at the Shanghai Auto Show. The car’s design is based on the existing Aston Martin Rapide saloon, and although it’s ready to go into production, only 155 will be made. 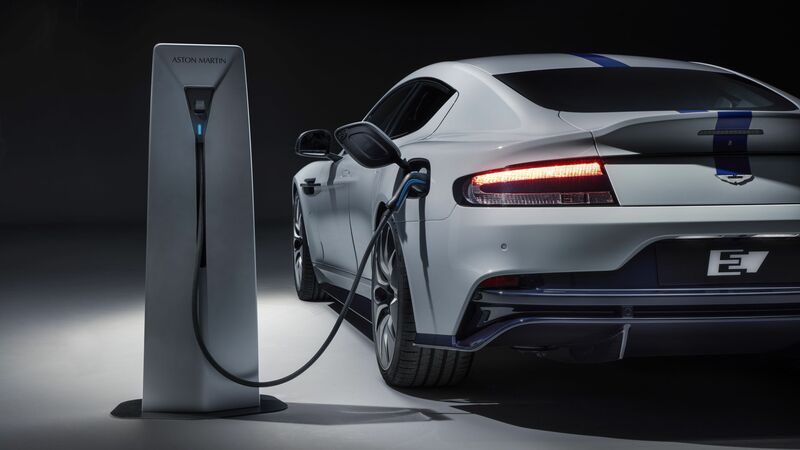 The car has a range of over 200 miles in tests, and Aston Martin claims it will charge at 185 miles per hour using a standard 400V 50kW charger, or 310 miles per hour with a fast-charging 800V outlet delivering 100kW or higher. That’s not quite as swift as Tesla’s Supercharger 3.0, but still impressive. The Rapide E is pretty nippy as well, with a top speed of 155mph. It can hit 60mph in under four seconds, and accelerate from 50-70mph in 1.5 seconds. Inside, the Rapide E features a 10-inch digital instrument cluster, an eight-inch touchscreen with support for Android Auto and Apple CarPlay for infotainment – all surrounded by “swathes of carbon fibre”. There’s also a smartphone app that allow the handful of owners to monitor its range, battery status and time to charge. The app will also show where the car is parked and provide walking directions (in the unlikely event that you’re the type of person who’d forget where you left your Aston Martin).